As well as having twelve brilliant outdoor tennis courts, and twelve outdoor Padel courts, there’s a huge community here too. Our members have all got to know each other and have become friends over the years of playing matches and competitions together. And, they love welcoming new people into the community too! Plus, it’s not just about playing competitively (although there are lots of chances to do that throughout the year! ); our members are friends off the court too. 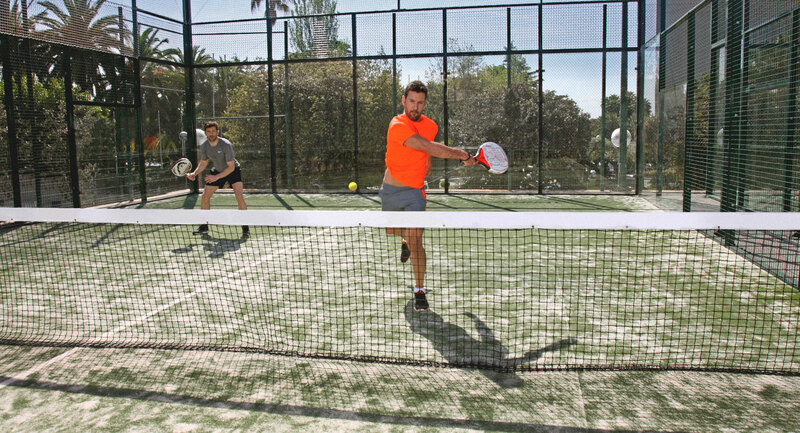 Padel and tennis are super popular in the area, so that’s why we have brilliant facilities to offer our members: twelve outdoor tennis courts, twelve outdoor Padel courts, as well as highly qualified coaches who can help you with your game. We run a huge range of events throughout the year that allows new members to meet other people who they can challenge to a game or two. From fun tournaments within the club, to matches with other clubs in the area – you’ll love getting involved. Plus, when you first join the club our Max Club programme offers a Tennis Welcome, and Padel Welcome that’ll make you feel comfortable straight away.